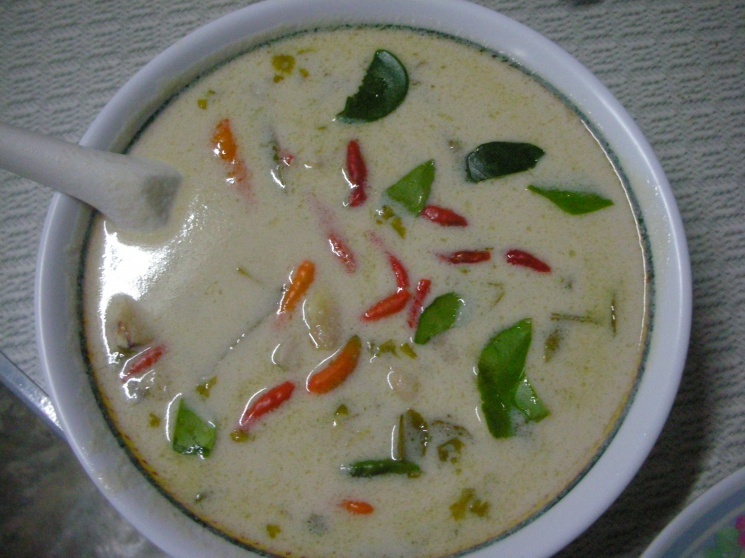 This is a mild but spicy chicken soup (it can also be made with shrimp, pork, beef or mushrooms), flavored with the unique flavor of galangal ('kha' in Thai) which creates a heavenly taste when combined with hot chile peppers, coconut milk, lime leaves and lemongrass. 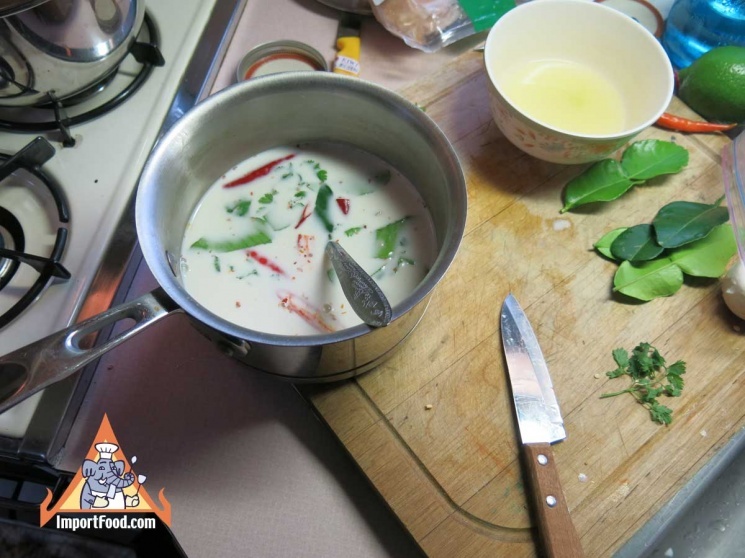 We famously started manufacturing Amazing Elephant All-natural Tom Kha with authentic flavor so be sure to get a few pouches to compare with what you make at home. 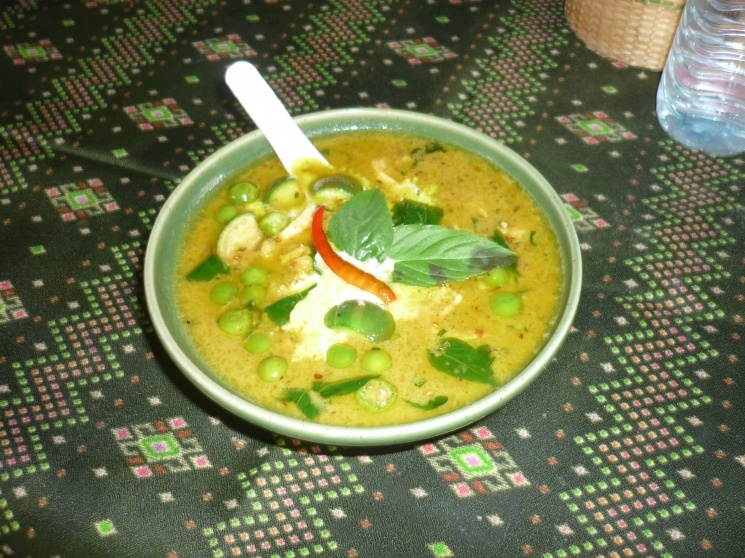 Our recipe is a common, basic method using a prepackaged soup broth or bullion cube. 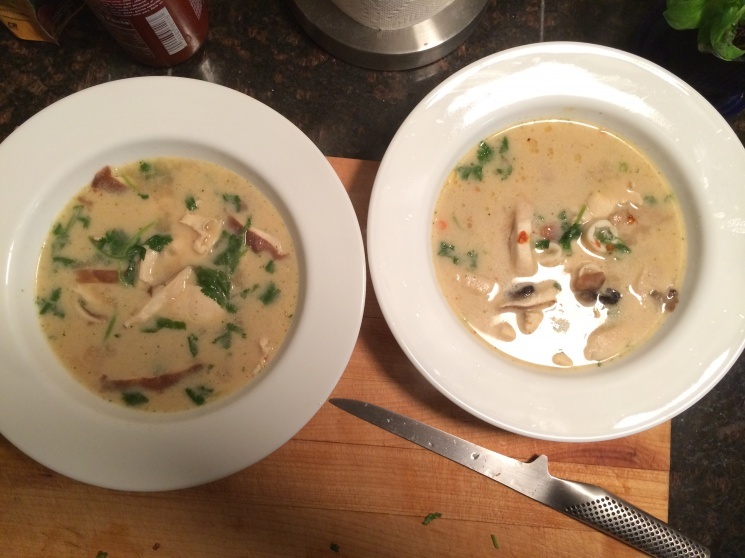 To make things more tasty, try preparing your own broth from scratch. 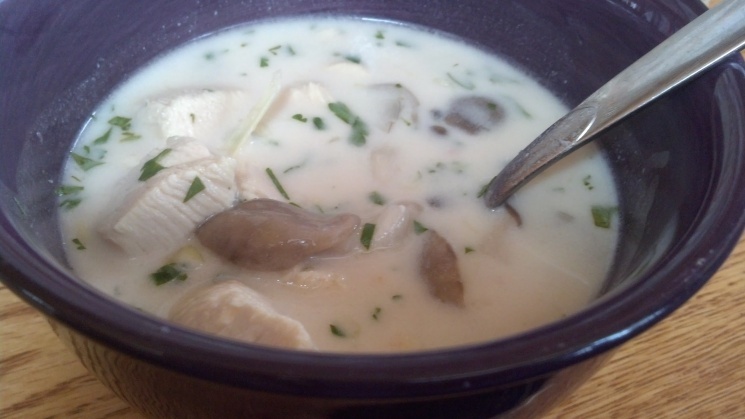 To make a simple broth for Tom Kha, put a carrot, half stalk celery, one medium chopped onion, perhaps a half cup of chopped daikon, and a few cloves of fresh garlic, into a pot of water. 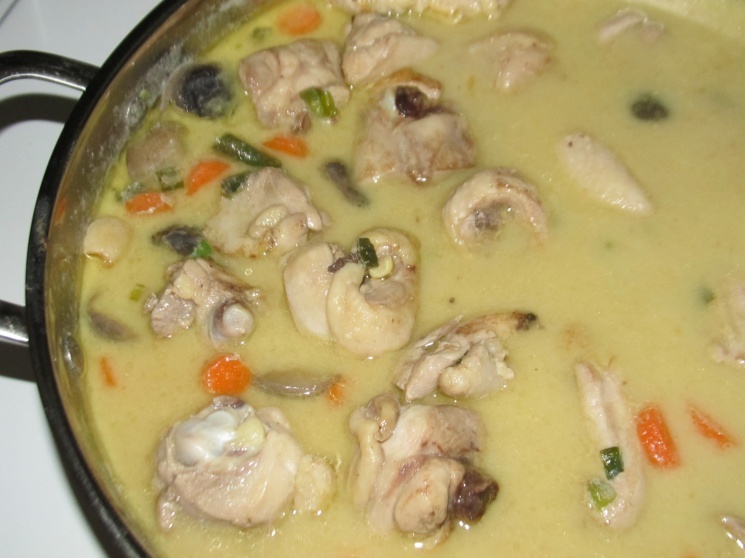 Simmer for an hour or so and you have a good broth, to be used in place of the 16 oz broth mentioned in recipe below. 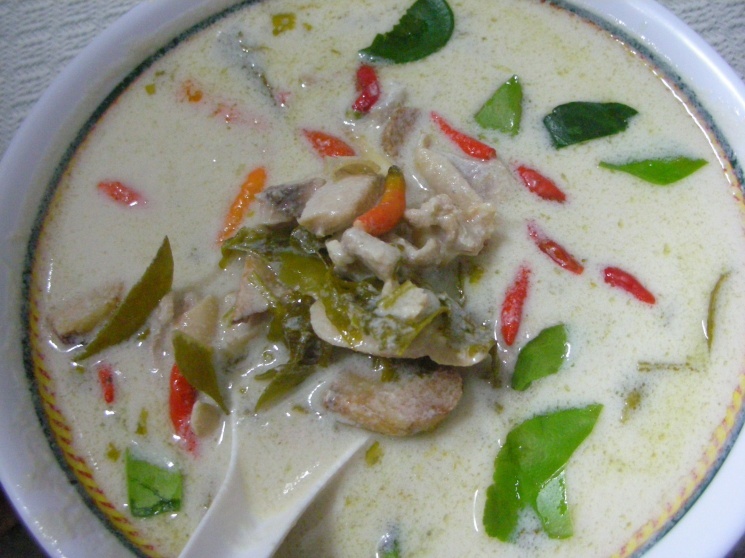 We also prefer increasing the amount of coconut milk to broth, to a 1:1 ratio. 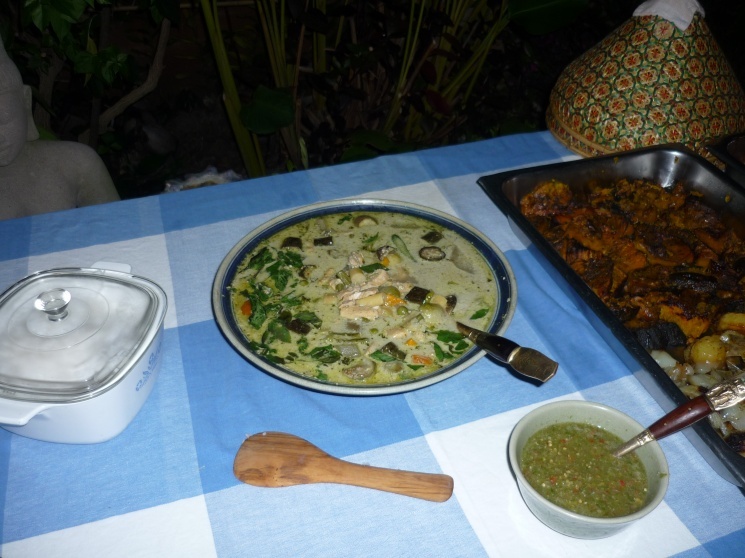 Heat the stock, add the lime leaves, lemongrass, galangal, fish sauce, and lime juice. 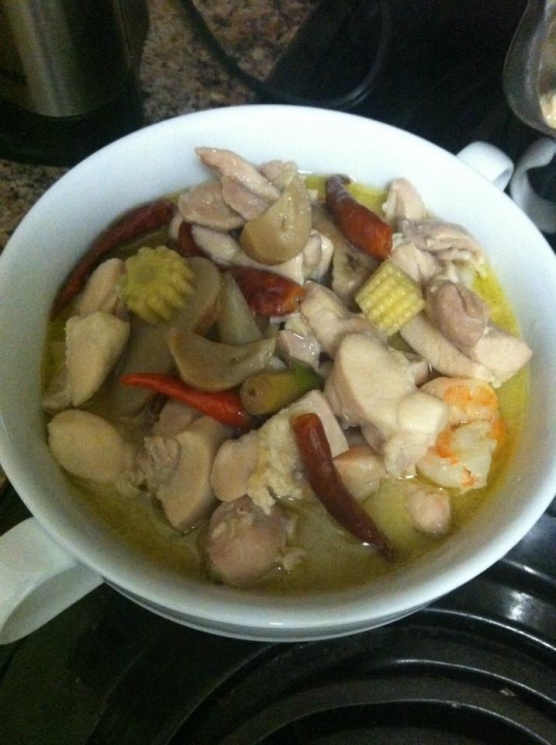 Stir thoroughly, bring to a boil, and add the chicken and coconut milk, then the chile peppers. Bring back to the boil, lower the heat to keep it simmering and cook for about 2 minutes (until the chicken is cooked through). 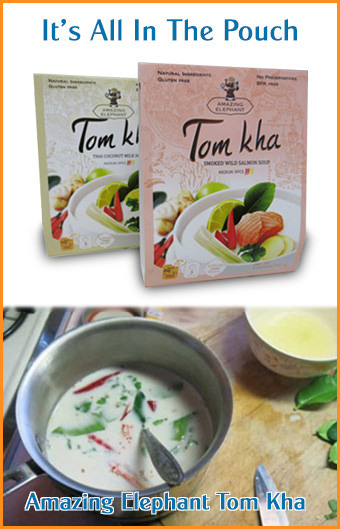 If you would like to have a decent-tasting tom kha without spending the time to prepare above, we also suggest you try our convenient Tom Ka Paste (click to see description). 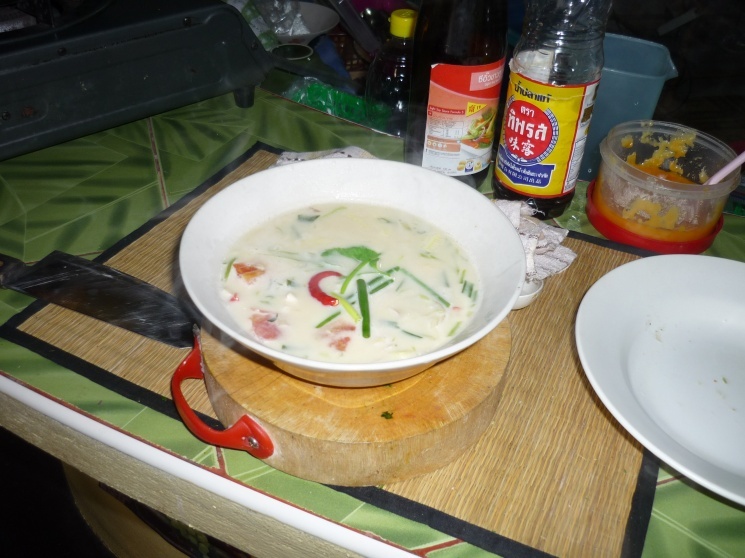 We also prepare tom kha as above, but without any soup stock. 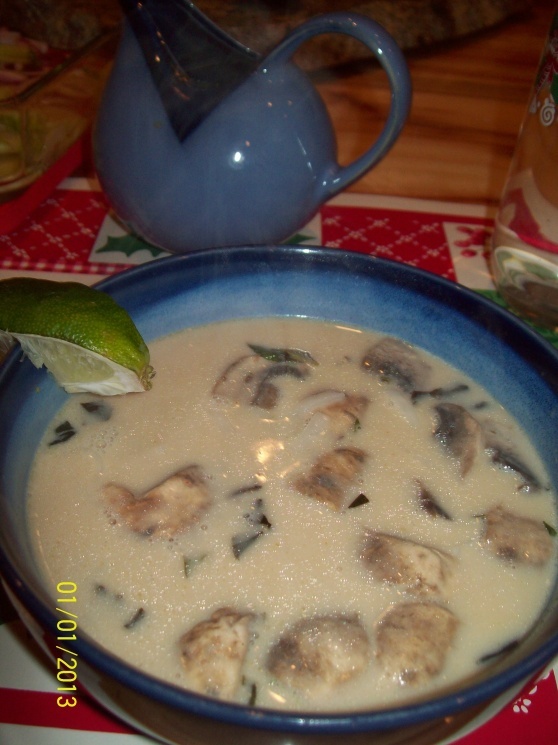 The liquid is only coconut milk, and a touch of water. 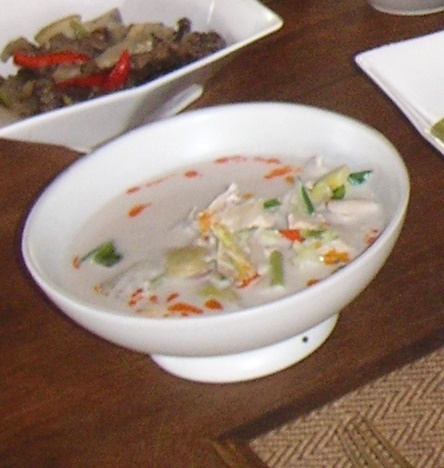 We also added, after it was ladled into a small bowl, a half teaspoon of roasted chile in soybean oil (prik pao). This gave it nice color and flavor. 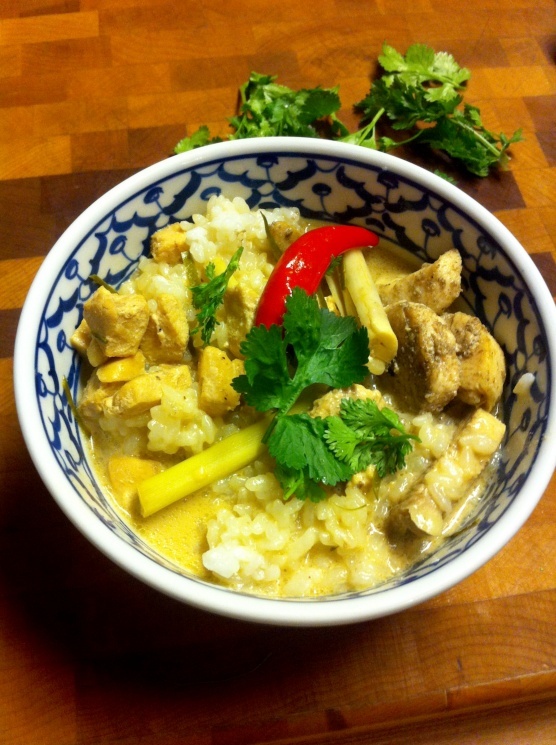 Another option: try a touch of Thai chile oil on top instead of the prik pao.